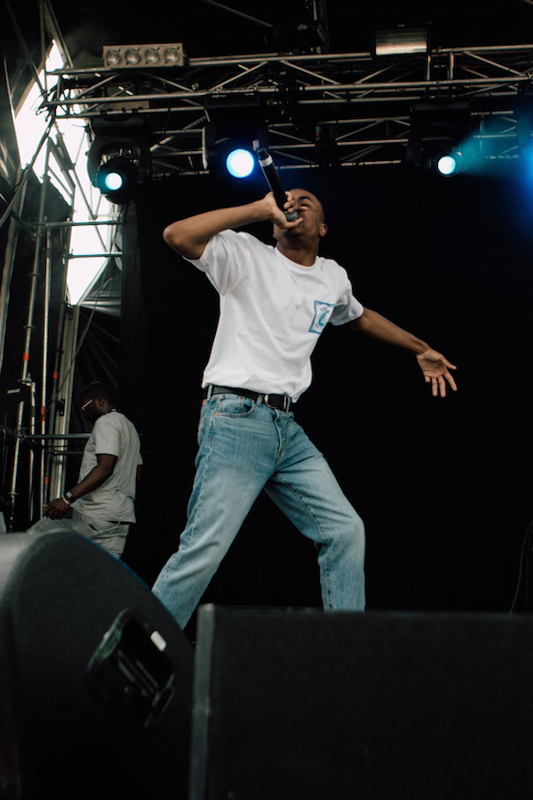 Laneway Festival 2016 - Part IV - Vince Staples. We love Vince Staples, and Vince Staples loves us. 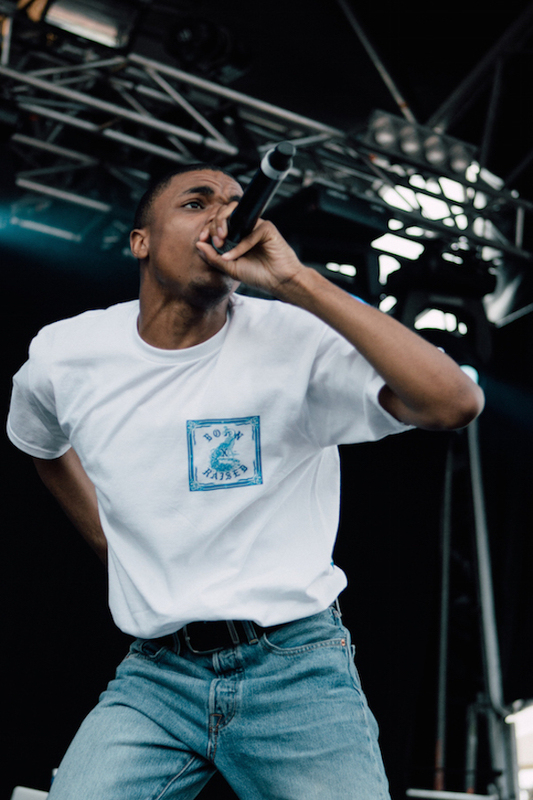 And if enthusiasm was sound, then Vince Staples was the loudest thing at Laneway 2016. The LA rapper was bounding about the stage (despite an apparent asthma attack, we later learned) blitzing through a cracking list of songs from his buzz inducing album 'Summertime '06' and more. The crowd pleasing singles 'Norf Norf' and 'Senorita' had the biggest effect on the sun drenched pack of hip hop enthusiasts, while die hard Staples fans got their fill of deeper cuts along the way. The set was stop and start between songs, but whenever Staples got a roll on, it was a thing of beauty. Staples might also be one of the funniest acts Laneway has ever seen. He traded quips with his DJ, shouted out individual fans in the audience, and even made us sure that he was comfortable around white people, thus very comfortable at Laneway. The music world has big things in store for Vince Staples, and hopefully he remembers to keep his kiwi fans happy with regular trips down here. Laneway Festival 2016 - Part V - COURTNEY BARNETT - click HERE to read. MusicLaneway Festival 2018 line-up announcement! MusicPSA: Young Thug added to Laneway Festival 2017 line-up. MusicInterview: Courtney Barnett on songwriting, self-confidence, and her record label. MusicLaneway Festival 2014 - Part V - Savages. 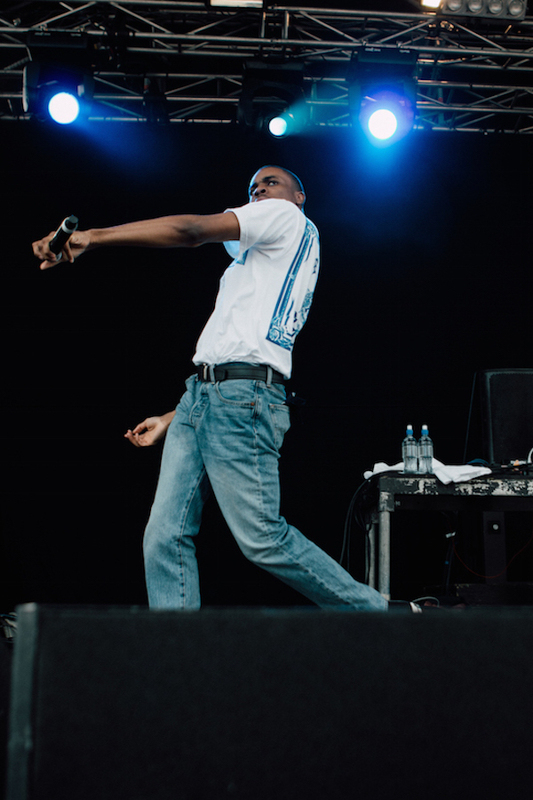 MusicInterview: Vince Staples on his debut album, 'Summertime '06'. MusicVince Staples - 'Big Fish' music video. MusicWatch: Glass Animals perform 'Life Itself' live for Jools Holland. UpcomingLaneway Festival moves to Albert Park!